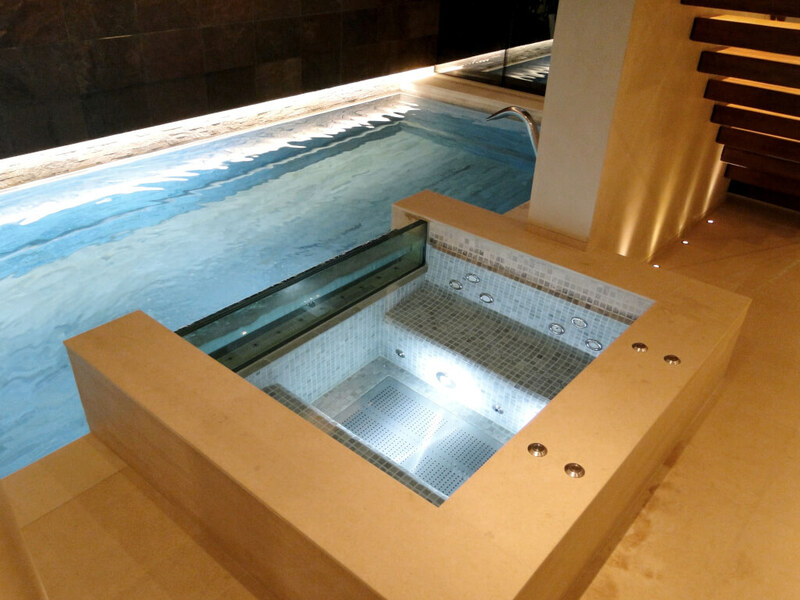 Rigorous spa adjacent to the pool, separated by a sheet of glass. 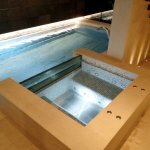 The appearance of the spa running into the pool was created by rising pool water through the glass and cascading back to the pool. This meant the spa could be kept at 39c and the pool at 30c but trick the eye into believing the two waters were mixing. 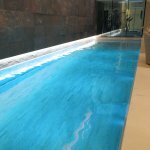 The pool was long and narrow, perfect for lap swimming, and a large rock wall climbed out of the pool to full ceiling height. 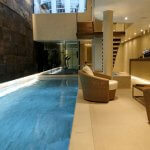 From this wall was a stainless steel water fall which cascades back into the pool. The whole room as a sensation of light, sound and moving water. Obviously the water features could be turned off to return the pool hall to a silent, peaceful place. 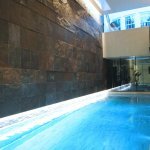 The interesting twist for this project was that the client wanted to see from the house, across a courtyard and down into this sub-basement paradise. This was achieved (by the rest of the design team, not us) by careful position of Finished floor levels and glazing panels. 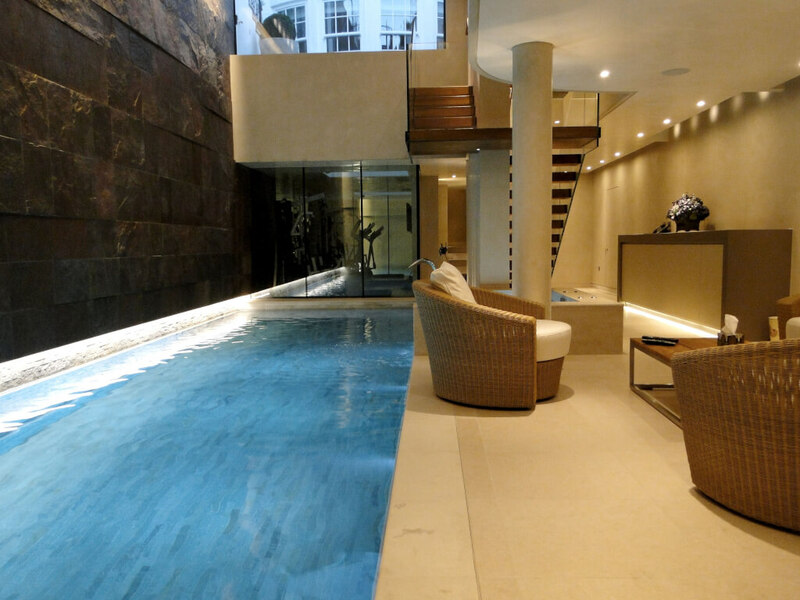 To stand in the kitchen and look down, into a huge leisure room was a sight to see.